Good marrow, ladies and gents! My name is Sir Frederick or Fred for short. 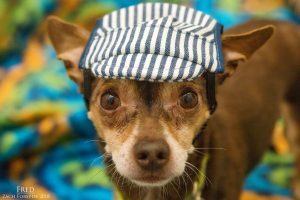 I am a dapper 8 year old Chihuahua mix weighing in at around 10lbs. For my small size, my heart is truly as big as the sea and I just love everyone that I meet from my human friends over 12, to my cat and dog friends too. Though I can be a little shy at first, I warm up quickly and am quite the cuddler. 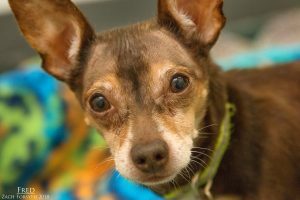 I am looking for a nice quiet retirement home full of love and well, lots of treats of course! But I am mostly all about those snuggles on the couch as we watch our favorite shows together.. Available for foster or adoption, I am oh so ready to meet you, so fill out an application today! I come to you neutered, vaccinated, micro-chipped with a dental exam scheduled and an adoption fee of $350.